Have you ever created any form in your WordPress site? You are investing time and money to bring people to your business website but less of them are filling forms. It is like you are throwing your money out… Isn’t it? Do you know what is the reason behind it? 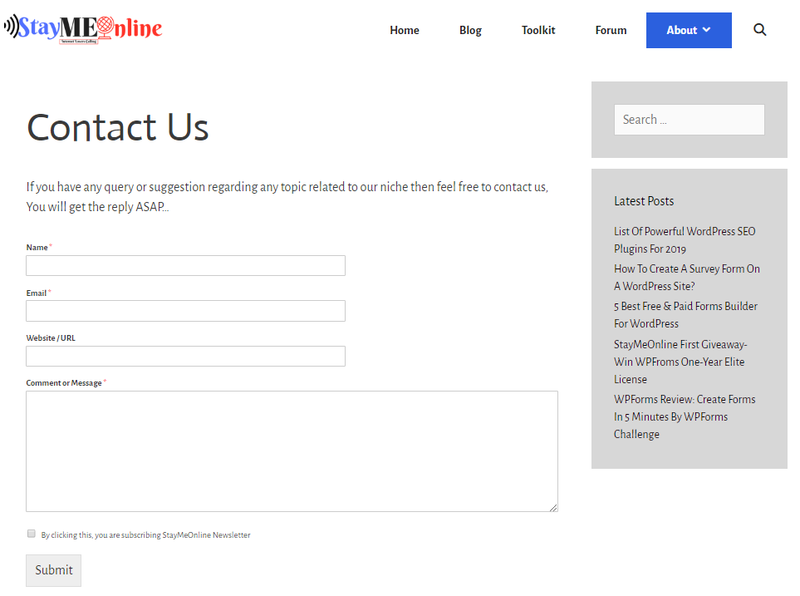 why people abandon the most important part which is filling lead generation forms? This is what we are going to talk about in this Post. Web pages contain multiple offers which distract users and take them away from the most important part, your lead generation forms. Don’t you think that it is distracting? When people will come to your forms, it can be anything like a contact form(as you saw), a survey form, a guest post submission form or a lead generation form. If they came and want to get in touch with you by filling that form, they will not able to focus because of having distractions on the page. Because the page where form placed on, is having advertisements, links on sidebars and other offers which distract users from filling form. For making a distraction-free form, you maybe use Google Forms… I have seen many people using Google forms on their contact pages. Google form is good for creating forms but if you want that form on your website’s page like you want to create a contact form using Google forms for your blog/website, I know you can create it easily but you will not get URL like yoursite.com/contact rather you will get URL something like https://docs.google.com/forms/d/e/1FAIpQLScRyovIAVV281ps0w9VRWXClW1WA8f43WGhv4aso2zp4KqZ3Q/viewform. As I said, I am using WPForms, I found myself lucky because they recently introduced their Form Pages- Distraction-Free landing pages add-on for WPForms. I found it best alternative of Google Forms for creating dedicated Form pages, this will help you to created dedicated form landing pages in less than 5-minutes. Creating form landing pages is so easy with this Add-on, you can create it by yourself, don’t need to hire any developer. Let me tell you, how exactly you can do this? How To Create Form Landing page Using WPForms(Literally In 5 Minutes)? Now we are on the important part of this post… I am going to explain how you can create Form Landing pages using WPForms. I am sure you have WPForms Pro installed Plugin on your WordPress site, now need to activate WPForms form pages add-on. For activating add-on, Go to WPForms>Addons and find Form Pages Addon. Once it successfully activated, you can create dedicated Form landing pages any of forms you have created using WPForms. Just Go to WPForms>All Forms, you will get all the forms on the next screen… If you not created any forms yet then created one now. Choose from which you want to create Landing Page for, click Edit. Add your page title, and add a message you want to show your users on the page. You can check the preview by clicking Preview Form Page. 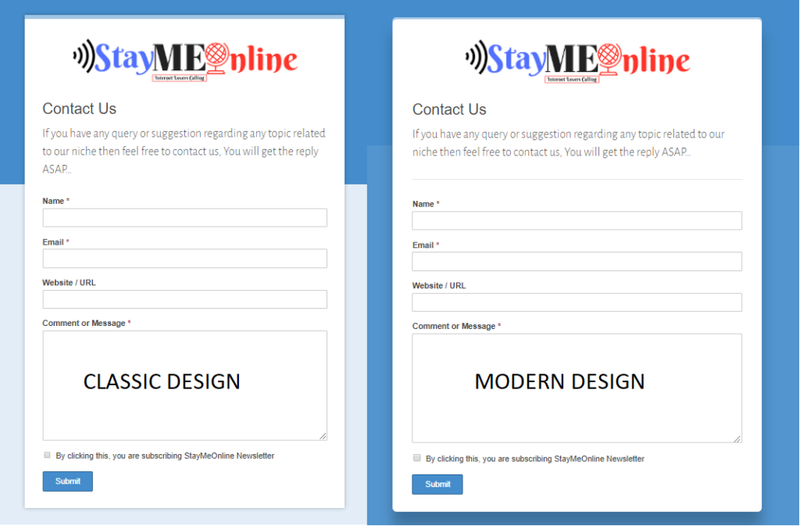 You can Customize Permalink of the form page, add header logo, Hide WPForms Branding if you want to, choose colours and Style of form pages there are two available Modern Design and classic design. Why You Should Skip Google Forms and Start Using WPForms Instead? The design customization is very limited. Advanced users can change the design to use the tool with a greater number of purposes. There are some security concerns. The user has to create a good password and protects it to increase the level of security. There are certain limitations regarding the capabilities of this tool. It accepts texts up to 500 Kb; images up to 2 Mb; and for spreadsheets the limit is 256 cells or 40 sheets. You will not able to use your own brand logo on Forms header. You can’t customize URL to your own website. But with WPForms you are not limited, You have tons of option to customize your Forms. Even you add custom CSS with your Forms to make that cooler. 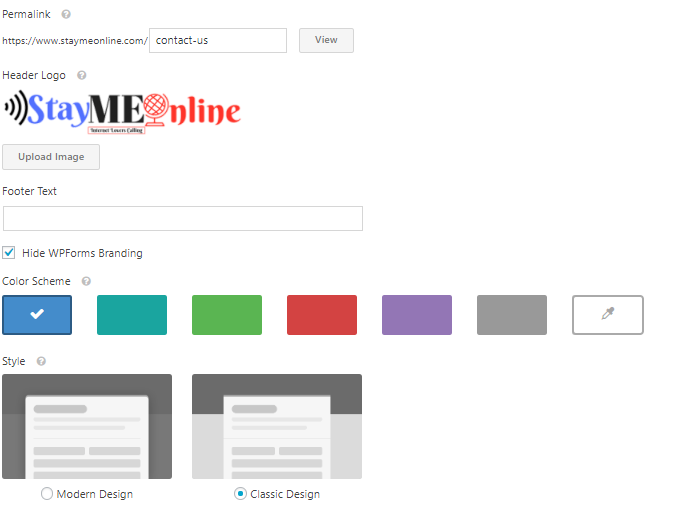 You can add your brand logo on the header of the form page, Customize the permalink which you can’t do with Google forms. And you can also increase the File upload size with WPForms, you can set your own size. I hope that it is enough to make you understand why you should skip Google Forms and start using WPForms for creating Dedicated Distraction-Free Form Landing Pages. 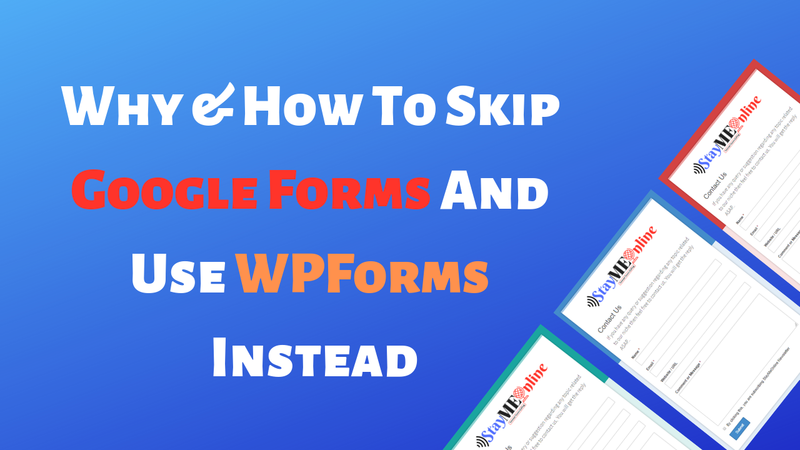 I hope you liked this post and found it helpful, if you did then must share with other to make them aware if WPForms Form Pages.